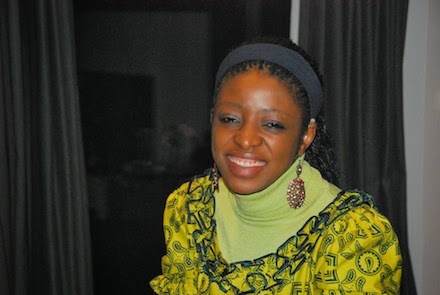 Here’s an interview with the outspoken author Marie Abanga (My Unconventional Loves) where she speaks frankly about her marriage, adulteries and how she managed to leave her children behind as she escaped her marriage. Marie, herself an adult child of divorce, has so far led a very atypical life. Before getting married, Marie got involved with a Catholic priest in training, a relationship that lasted 2 years. Marie talks about how the priest kept talking about leaving the seminary to be with her but when she realised that this was never going to happen, she decided to end the relationship. Unbeknown to her she was already pregnant by him. With a son and no job and no home of her own, Marie realised that she needed to do something. Home life was hard so Marie found a man to marry, proposed to him and were soon married. But from the start that relationship too was marred by in-laws and others and before she knew it, the affairs began. She became the adulterous woman. “I left my children behind because I had to.” She explains something that many find hard to understand or to accept. And the story goes on all the way to her divorce and beyond. Marie talks about choosing to leave her children behind.